1.Fastest Android emulator on the planet. 2.Do your simultanous automatic tests on unlimited virtual appliances . 3.Directly launch Genymotion from your Eclipse and Android Studio platforms. 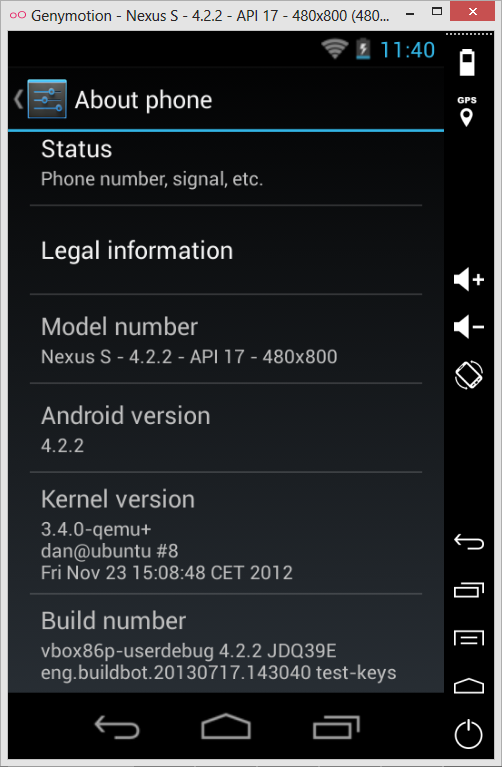 4.It has Open GL acceleration ,multiscreen and full screen display. 1.Go to http://www.genymotion.com/ and sign up. 2.After logging in download genymotion for Windows 32/64 bits from the following link. 3.Download and install virtualbox for linux from the following link. 4.Now run the the downloaded genymotion-1.1.0.exe and install the Genymotion on your PC. 5.Then launch Genymotion and login with your Username and Password. 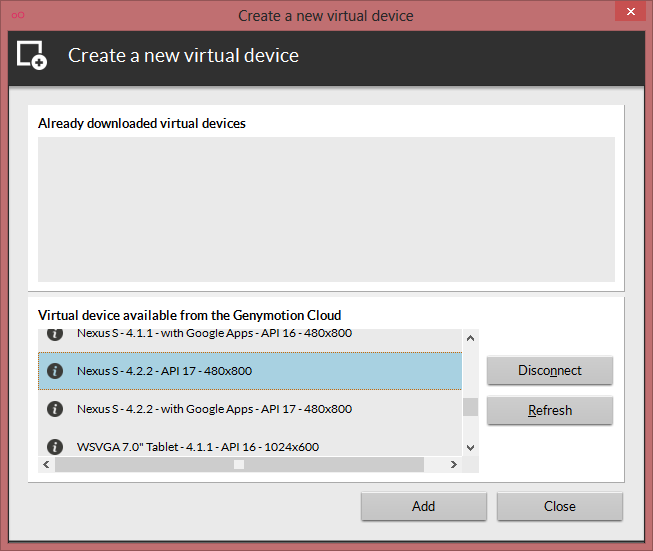 6.Select Add to create a new virtual device, then select a device from the list and click Add. 7.Then select next and the Virtual image starts downloading. 8.When the download is completed select next from the window. 9.Then you will be asked to enter a name for the downloaded Genymotion virtual device. Enter a name and select create and the click finish. 10.Now the virtual device will be listed in “Your virtual devices” in the home screen. 11. Then select play to start your virtual device.For the first time it asks to configure sdk path for using ADB , select the sdk path and you will be booted to Android home screen. 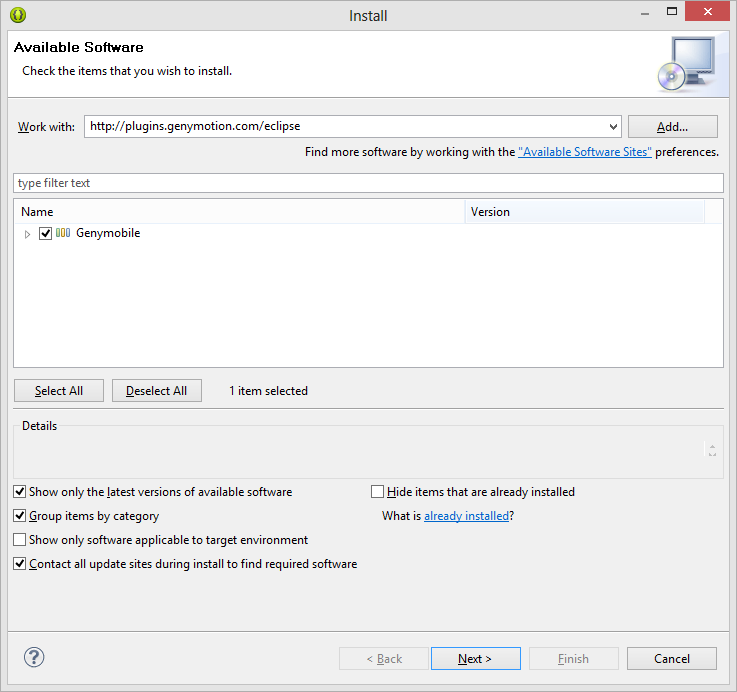 1.Open Eclipse and select Help->Install New Software. 3.Genymobile will be shown, select it and click next. 4.Genymotion Eclipse Plugin will be downloaded and installed. 5.Now restart Eclipse IDE the plugin will be active. 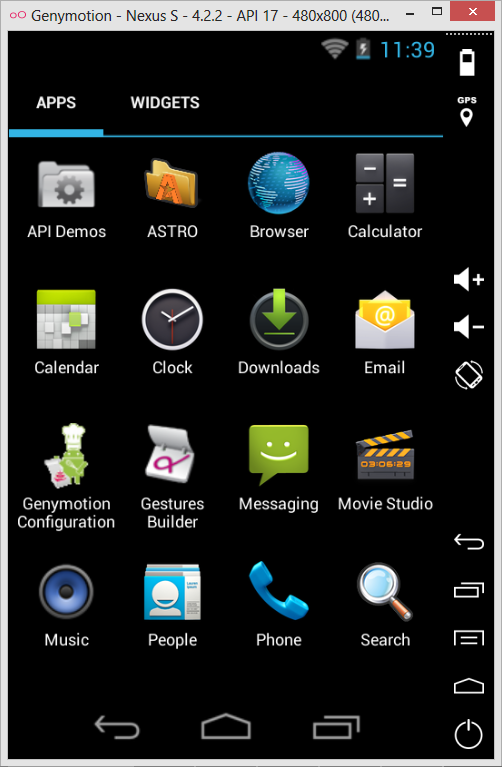 6.Now you can run your apps developed in eclipse in Genymotion Android Emulator. 7.Select Target device as Show chooser dialog. 8.Now you can test your Application in Genymotion by choosing Genymotion from the Choose Device dialog while running your Application.